Today's challenge in the Facebook group Adventures in Stamping was "Stamping with Three Purples." I decided to try a water marble for the first time. Water Marbling is a technique where you drop polish into water, swirl it together and then dip your fingers in it. I would advise watching a few different YouTube videos on it before you try it. I watched a ton and took some advice from each. I haven't cleaned up here since I am going to stamp on top of it and there is cleanup there too. 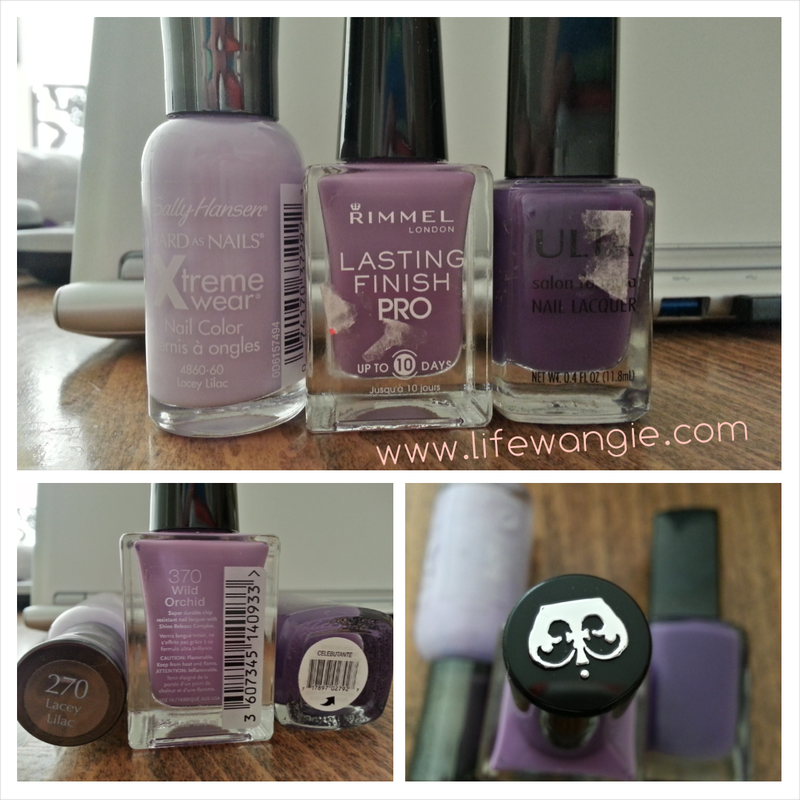 I love the caps on Rimmel London. They have a little silver crown. Then I decided to stamp over this with a mint green, hoping for a spring-y look. I'm not sure how successful my stamping was. I wish I had used a more delicate stamp to let more of the water marbling through. 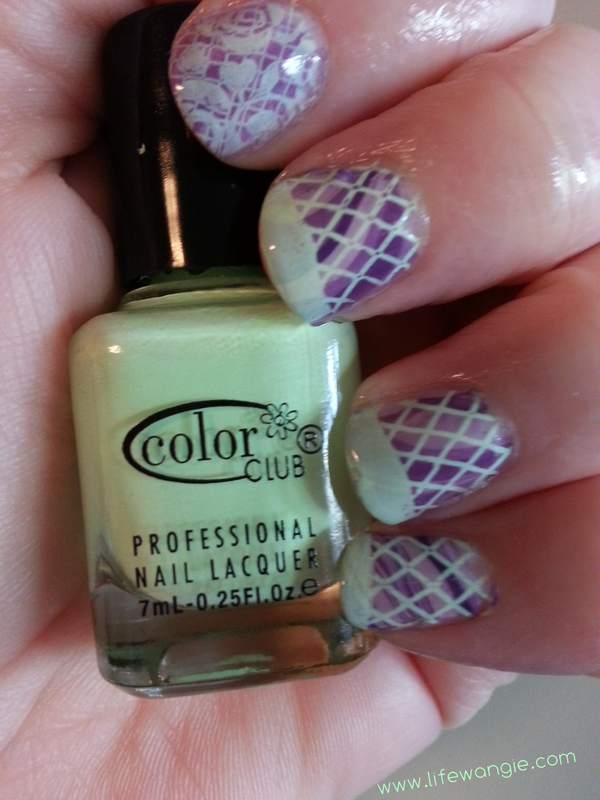 I stamped with Color Club London Calling. I used Pueen 27 (from Love Elements) on my index finger and Mash 70 on the other fingers. I'm not thrilled with the results of this mani, and I might take it off later and just do my nails with some of the purples. I am going to a birthday party tomorrow night, so I might just do something fun and sparkly. 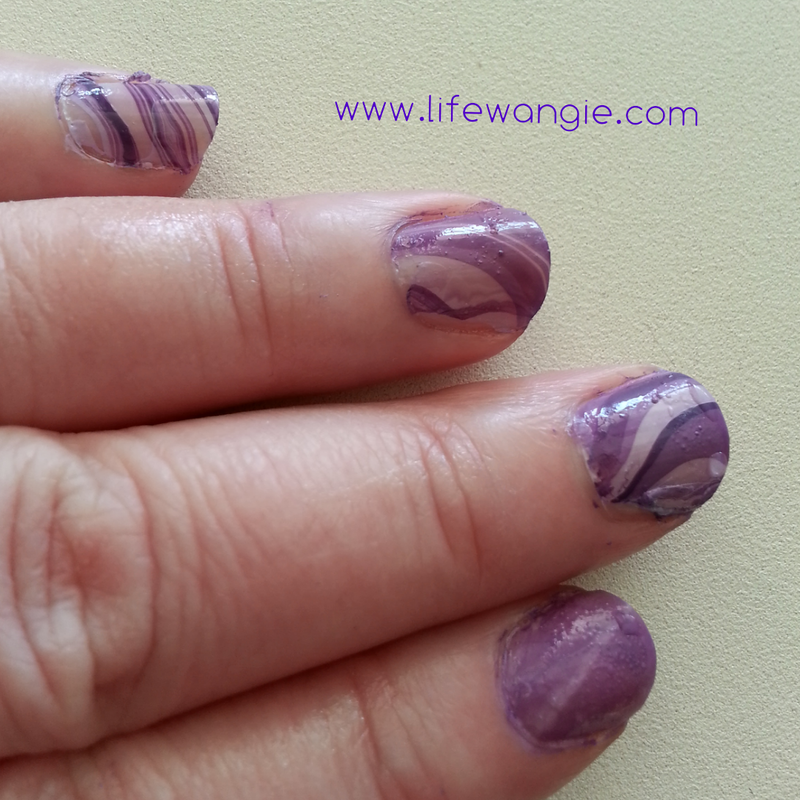 But I had a good time trying out the water marble and I love the color combo that I came up with.